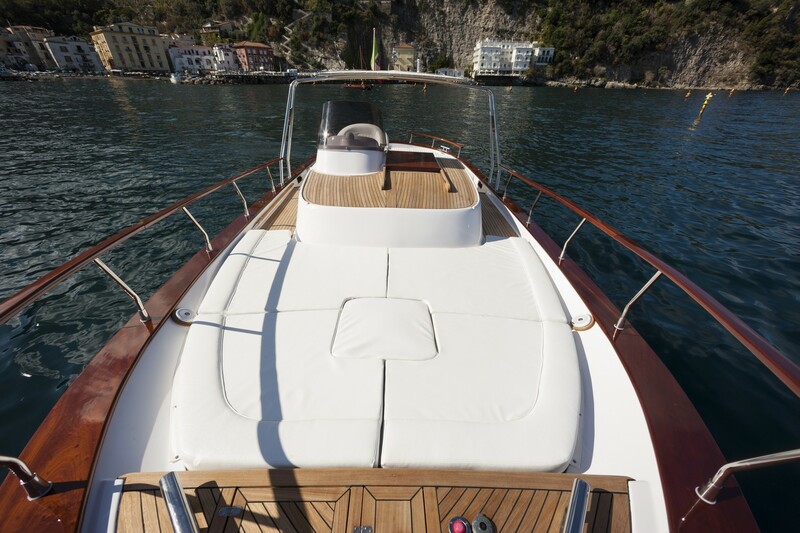 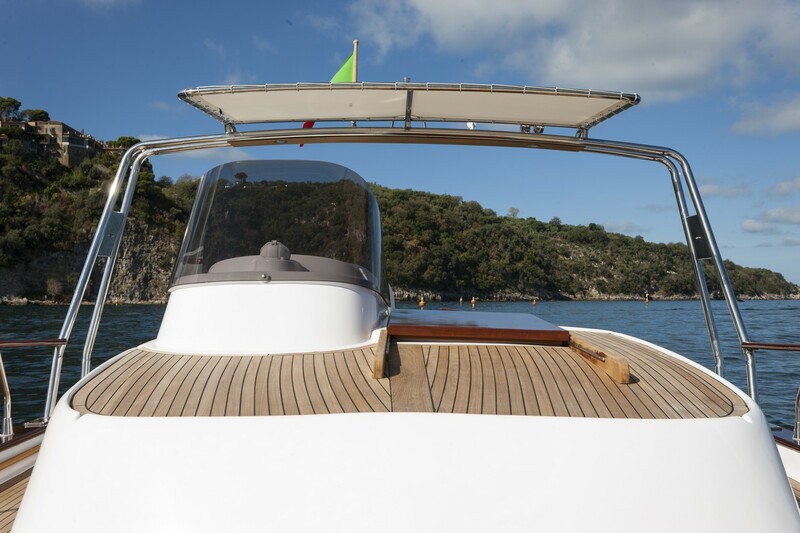 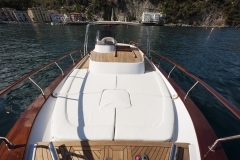 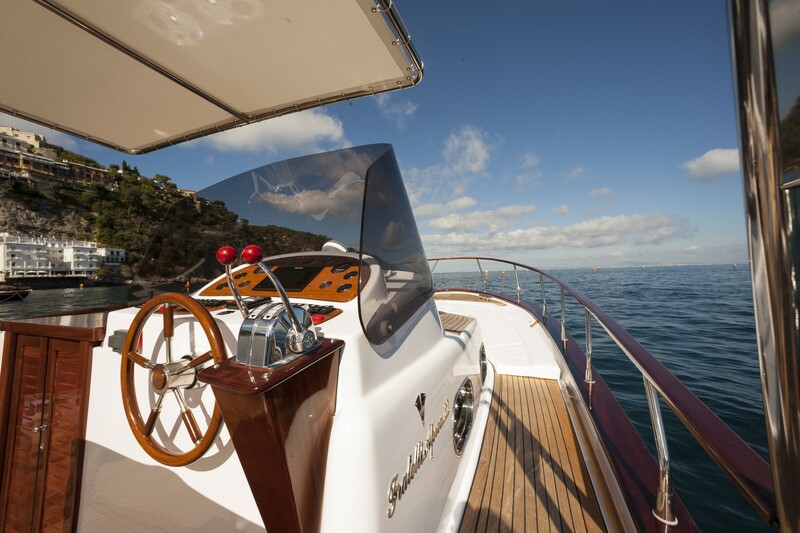 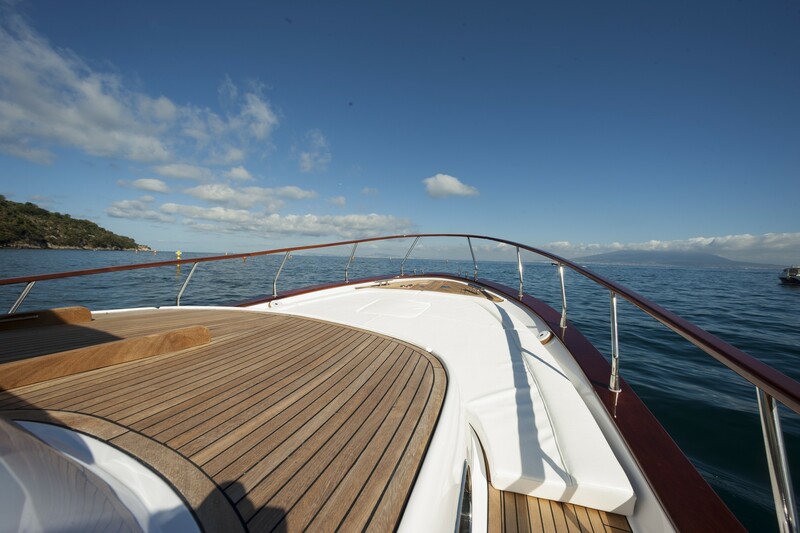 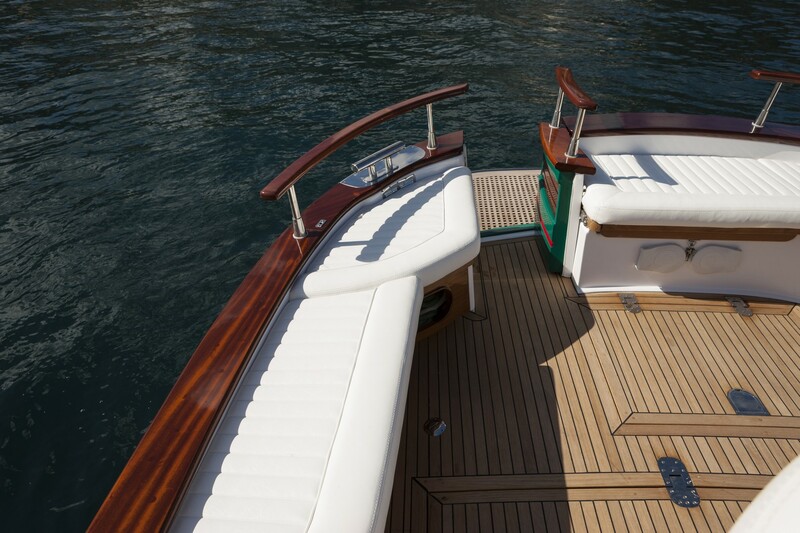 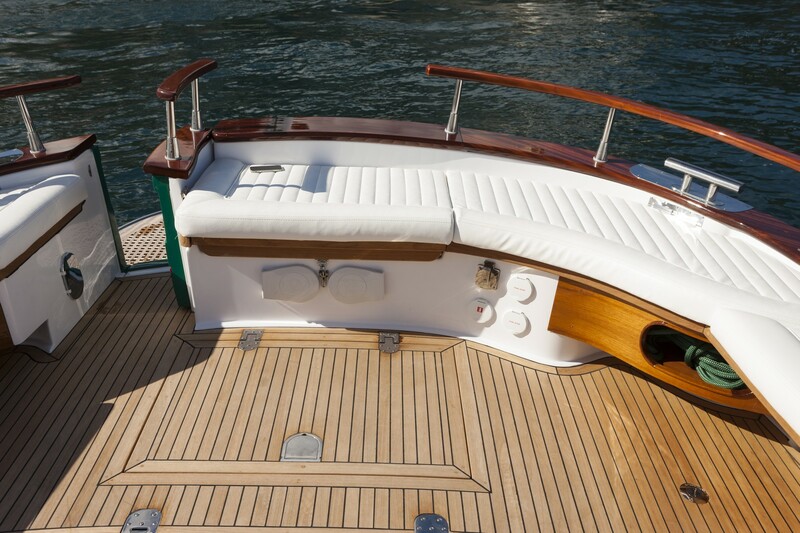 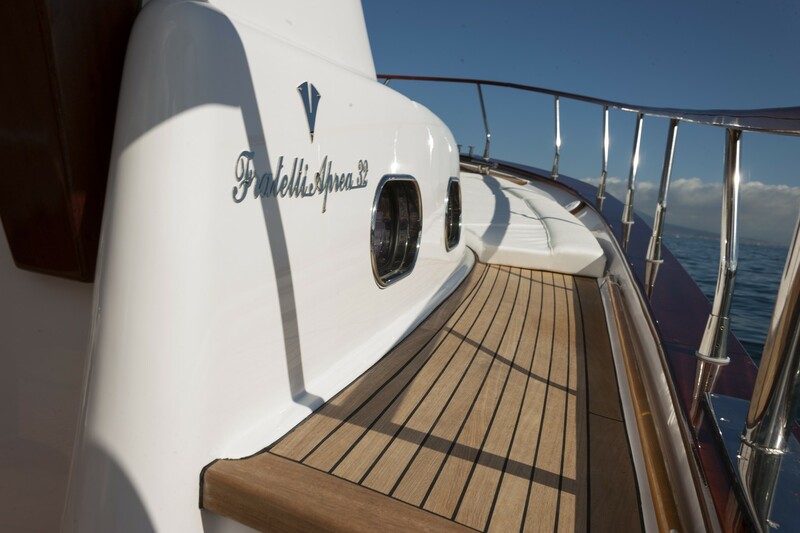 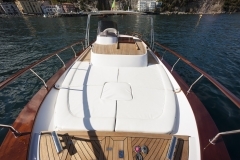 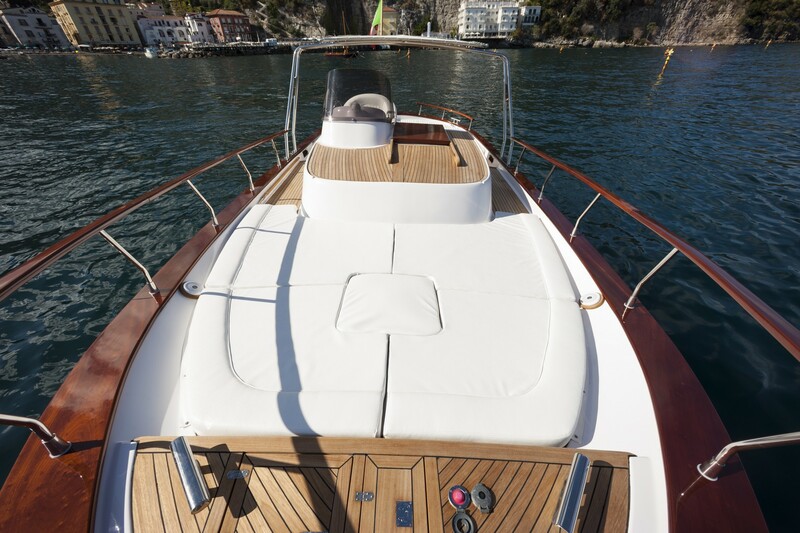 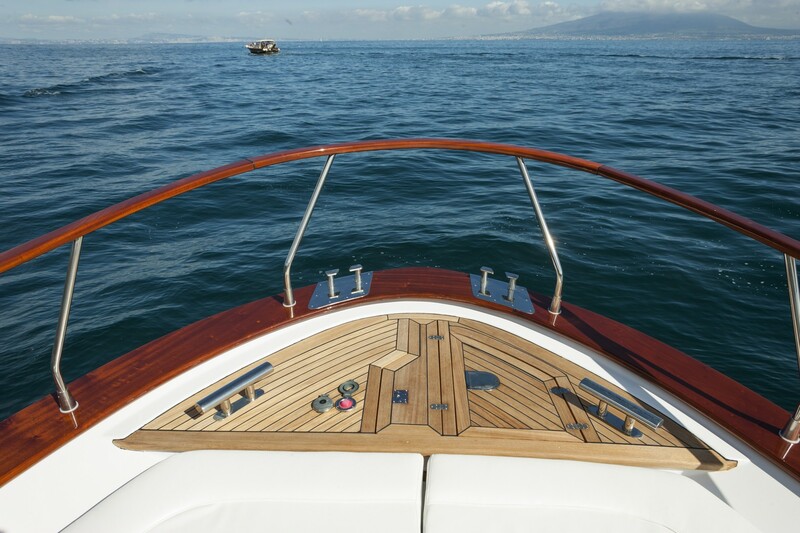 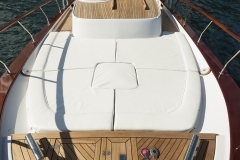 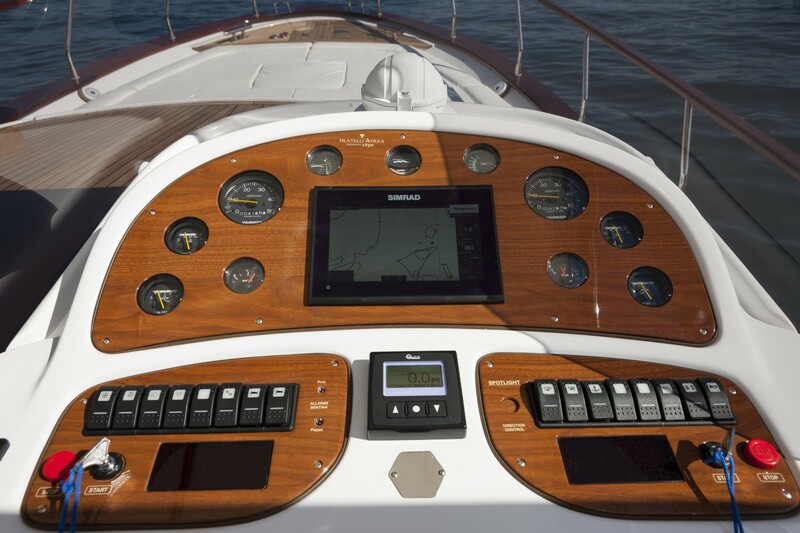 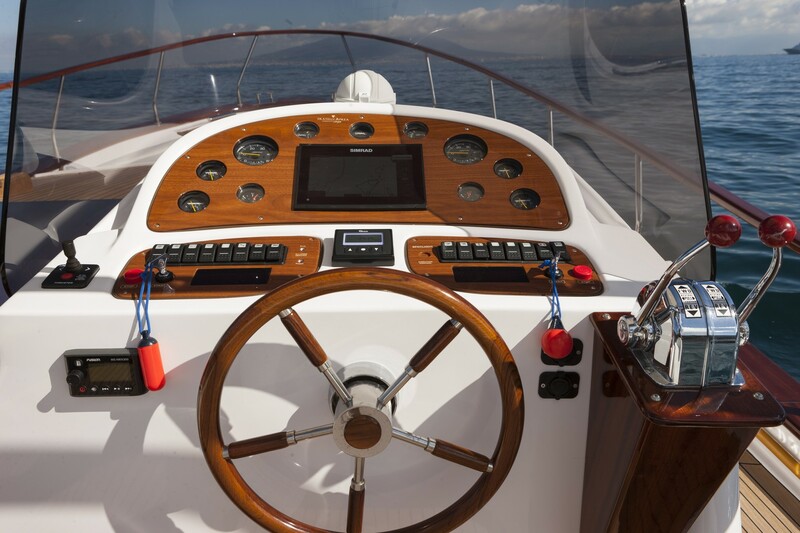 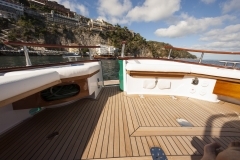 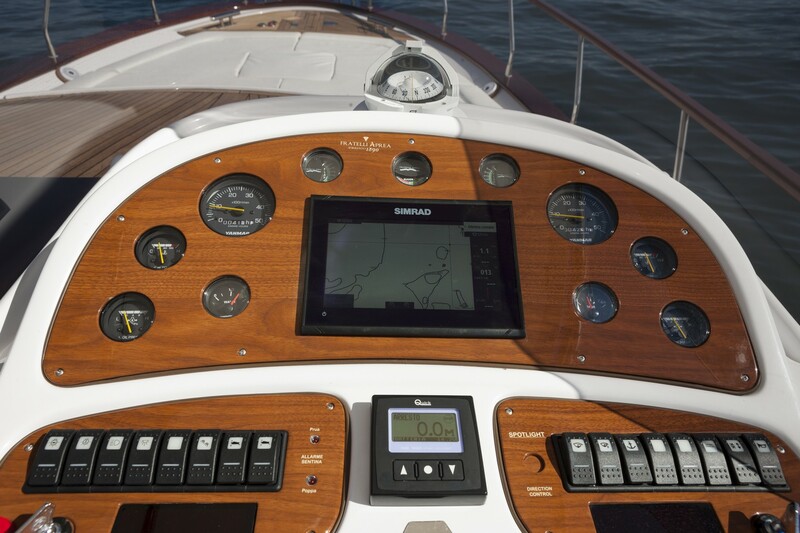 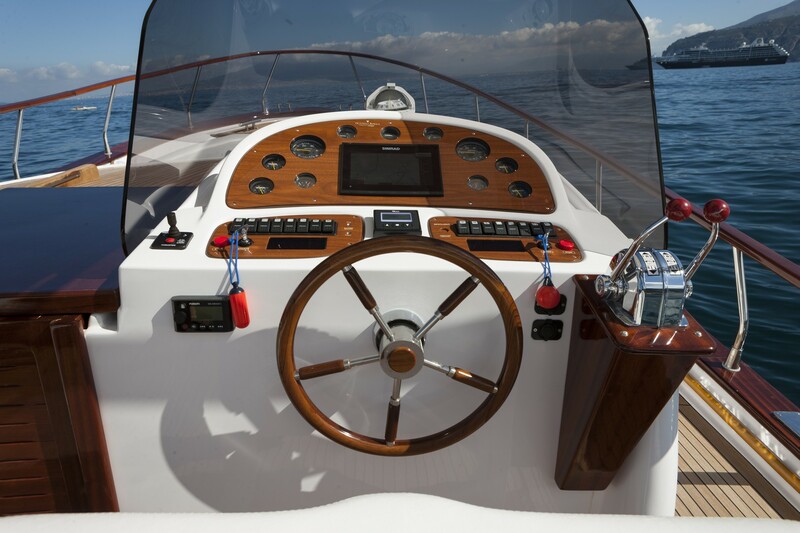 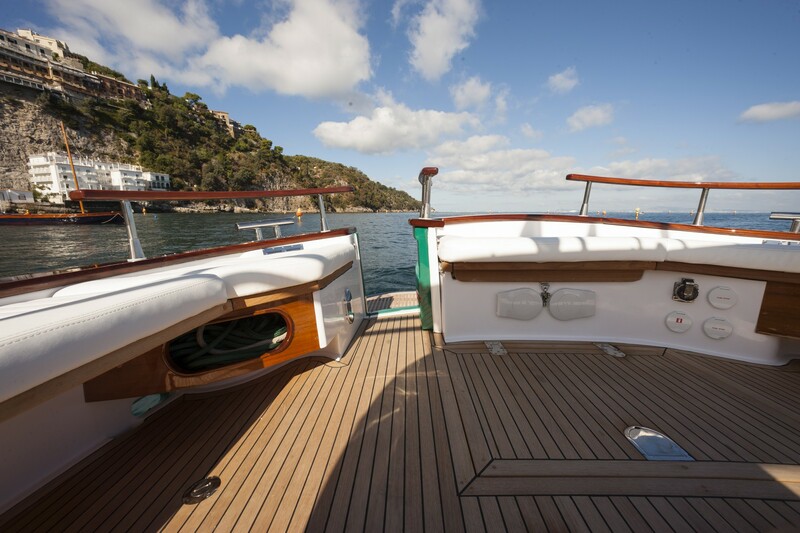 The 32 OPEN CRUISE is an impressive model due to its traditional line that also offers an extremely performing spirit. A model that confronts the sea so that all kinds of emotions can be experienced. 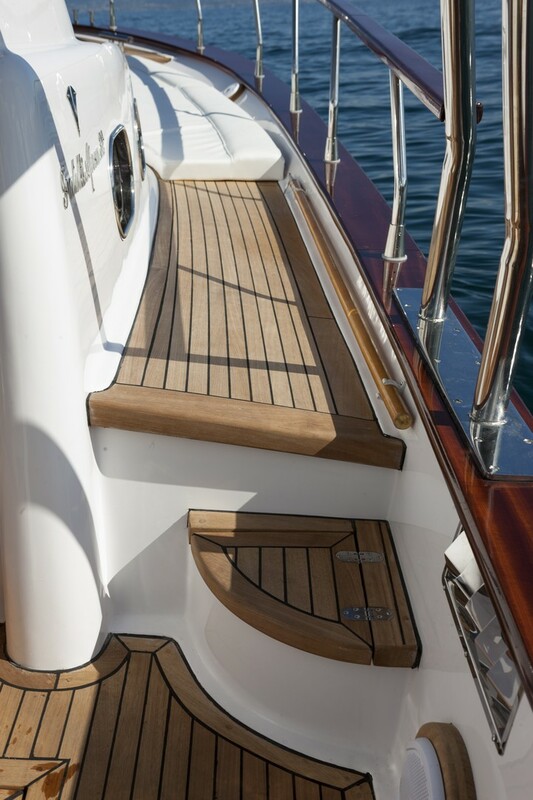 With well cared for details under the deck, it features a completely open spirit and deck design, which is liveable and presents no obstacles. 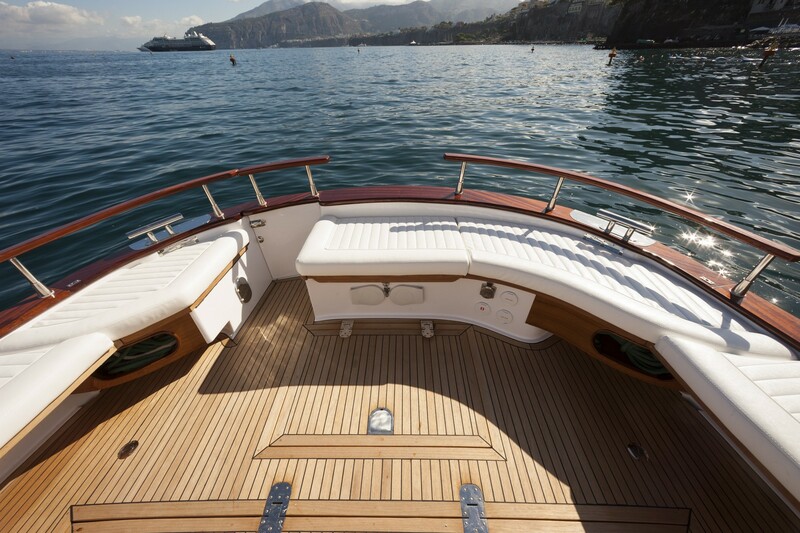 Designed for the sea, chosen by those who love the sea. 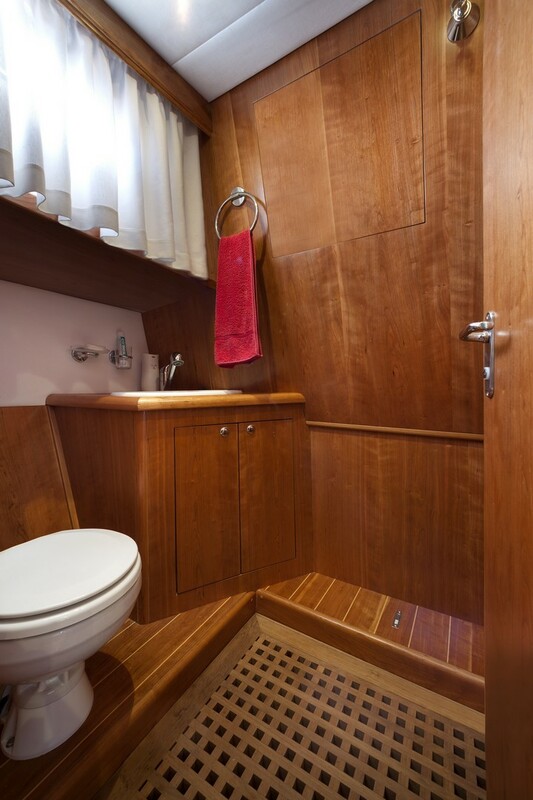 wooden floor, halogen lights, general electric panel, coverings in imitation leather. 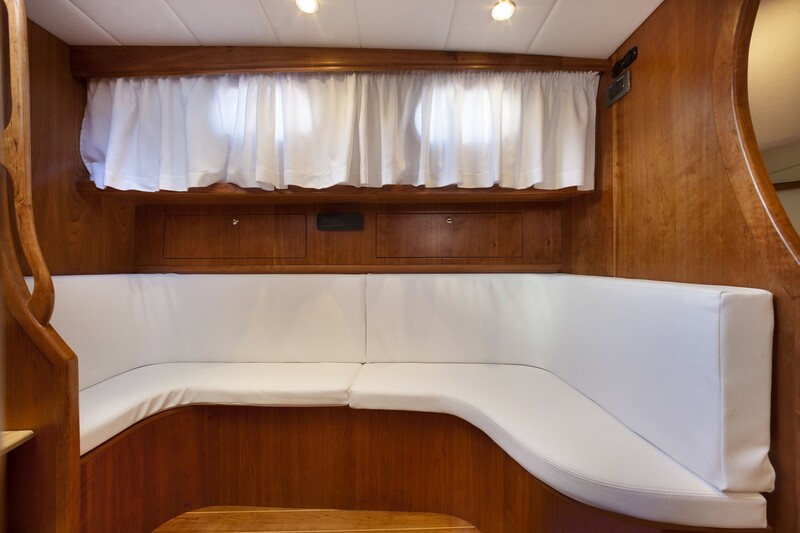 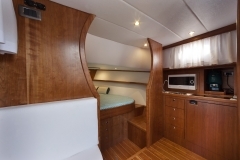 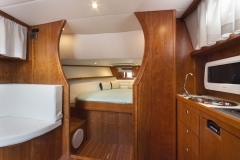 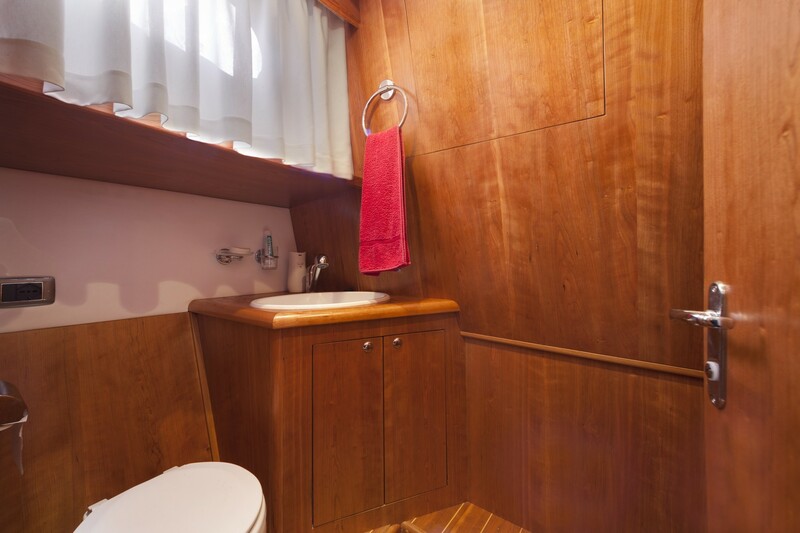 Owner’s cabin: varnished floor in high quality wood, 12/220V taps, coverings in imitation leather, varnished wardrobe in high quality wood with shelves, drawers under the bed, halogen lights, double bed, mattress, bed covering and pillow, manhole, mirror. 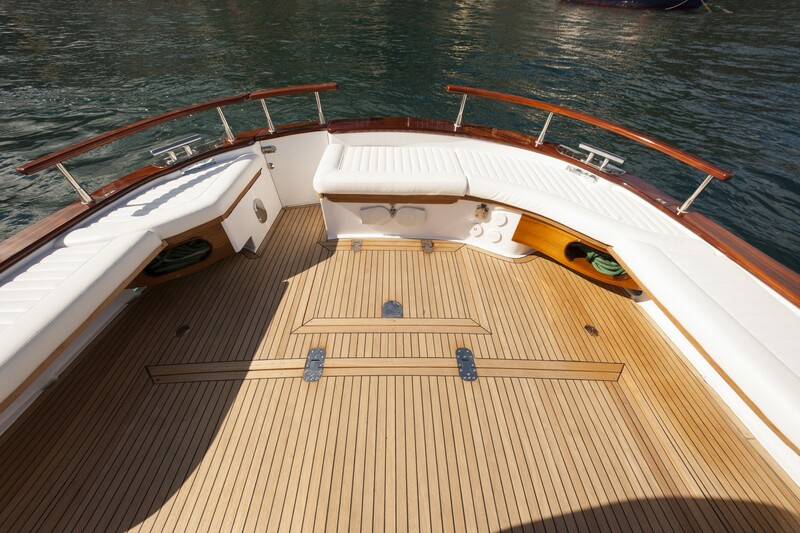 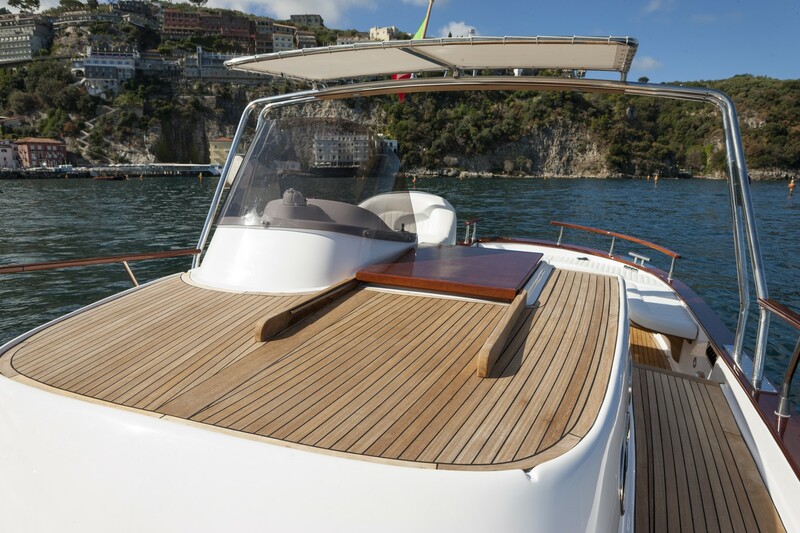 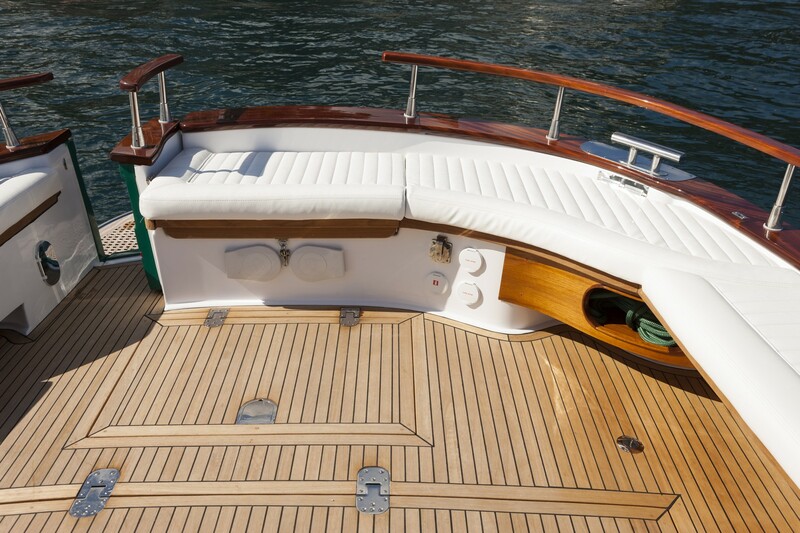 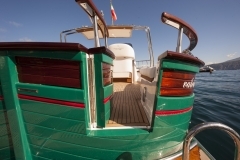 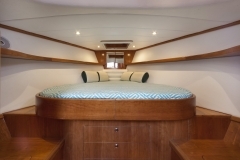 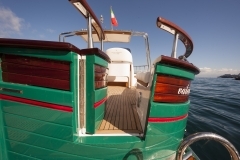 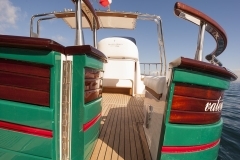 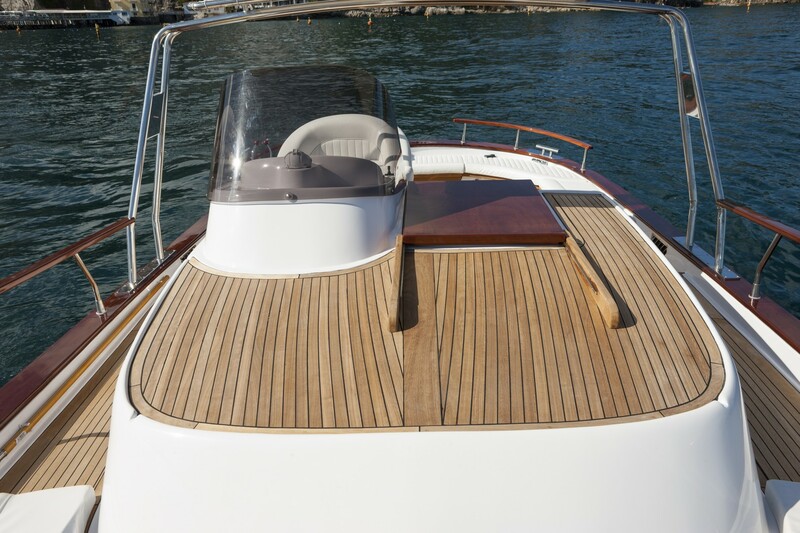 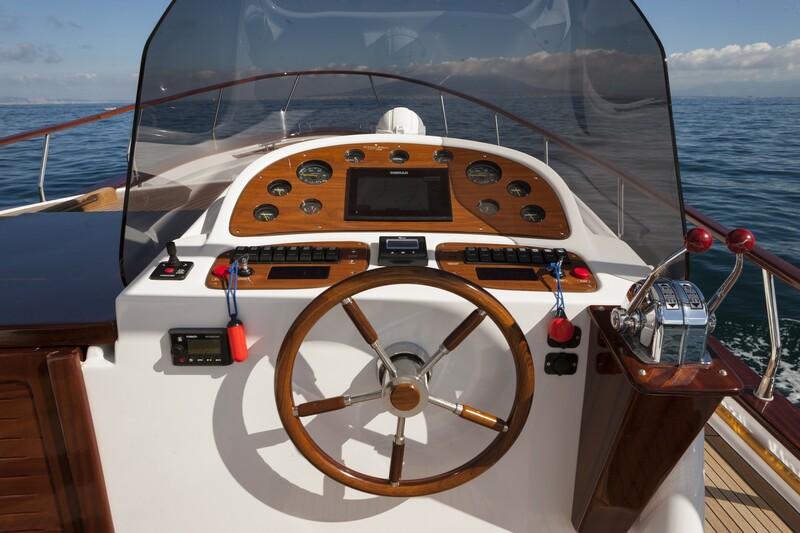 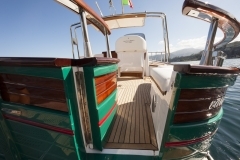 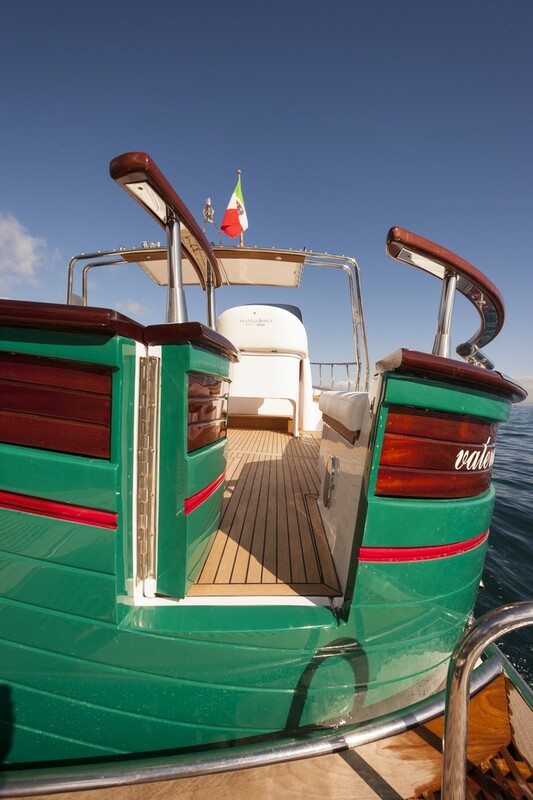 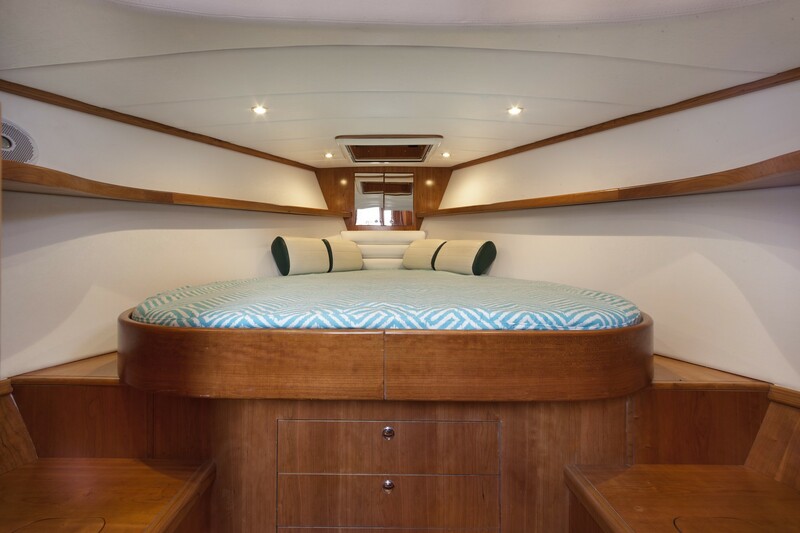 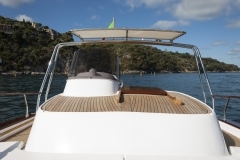 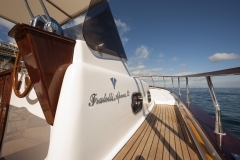 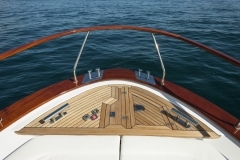 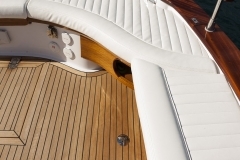 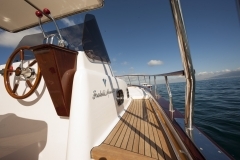 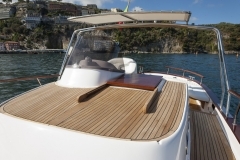 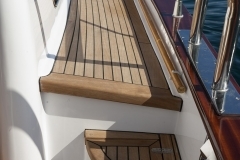 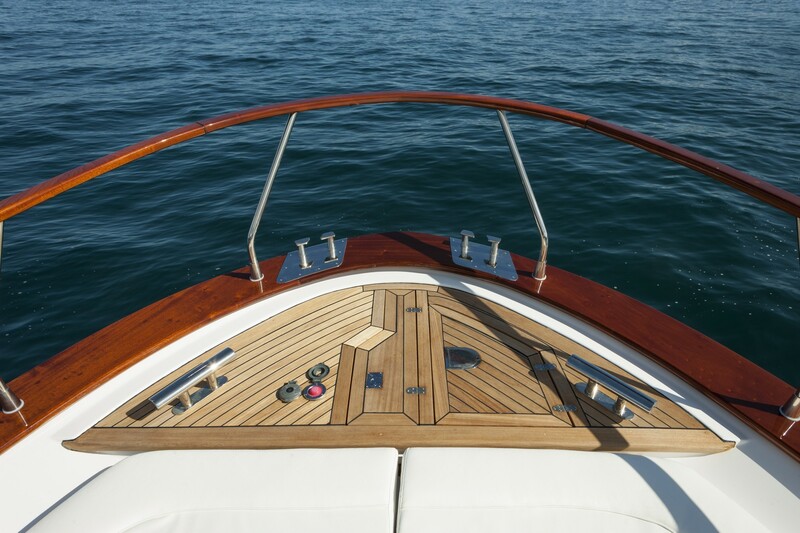 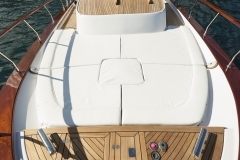 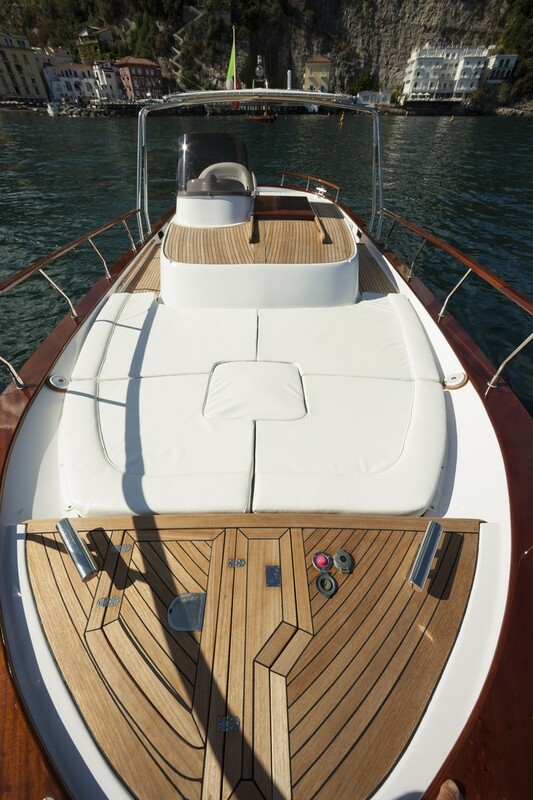 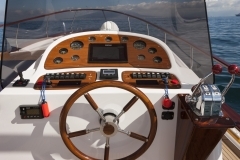 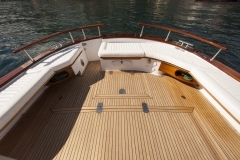 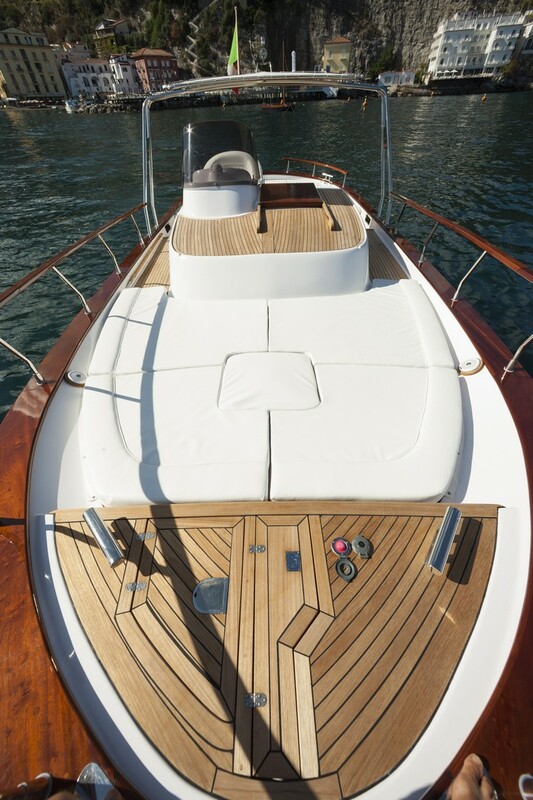 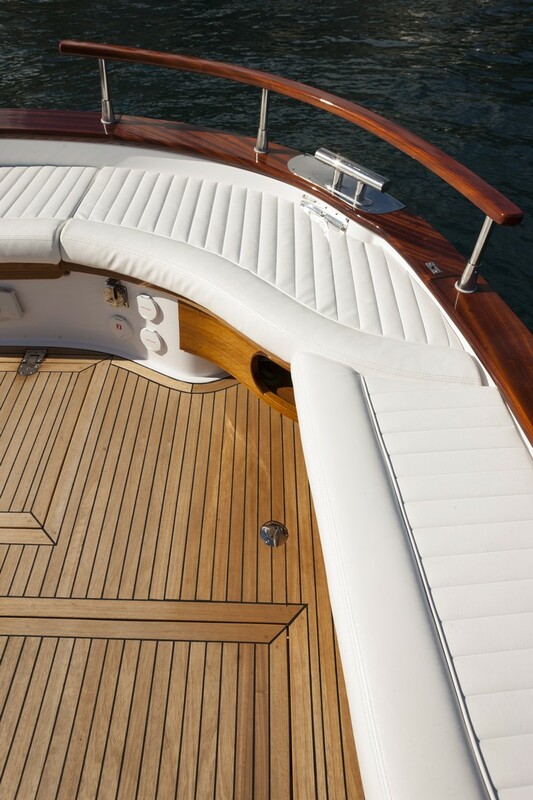 Customization: Hull and deck: deck and locker in teak, washboards and stringers in varnished mahogany, 10 kg. 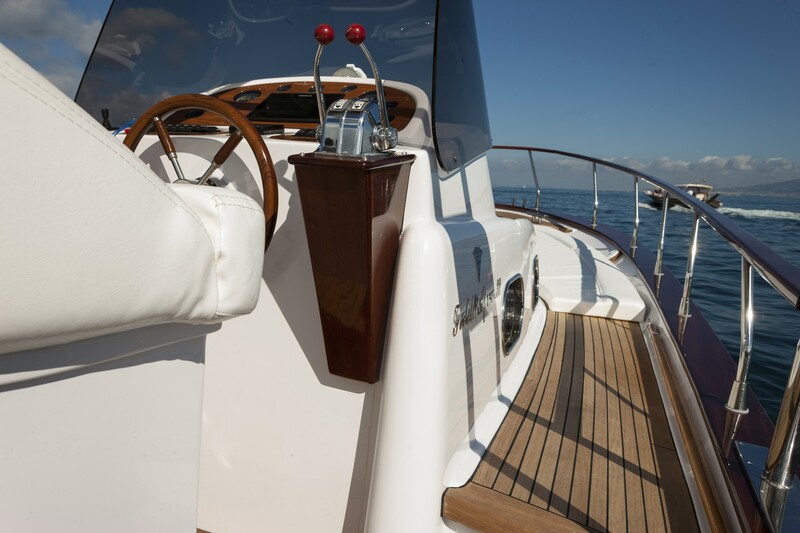 steel anchor with a 75 mt chain, flag boom, nose in inox steel, boat hook, aft platform with ladder in inox steel and teak, hot water system with boiler, windscreen in inox steel, manhole, pulpit in inox steel, roll bar in fibreglass, 2 fore bitts and 2 fair-leads, 2 aft bitts, sofa in front cabin, hublot, 1000W electric anchor-winch with double command on deck and on bridge, locker illumination, navigational lights, 220V tap for berth connection, electric windshield wipers. 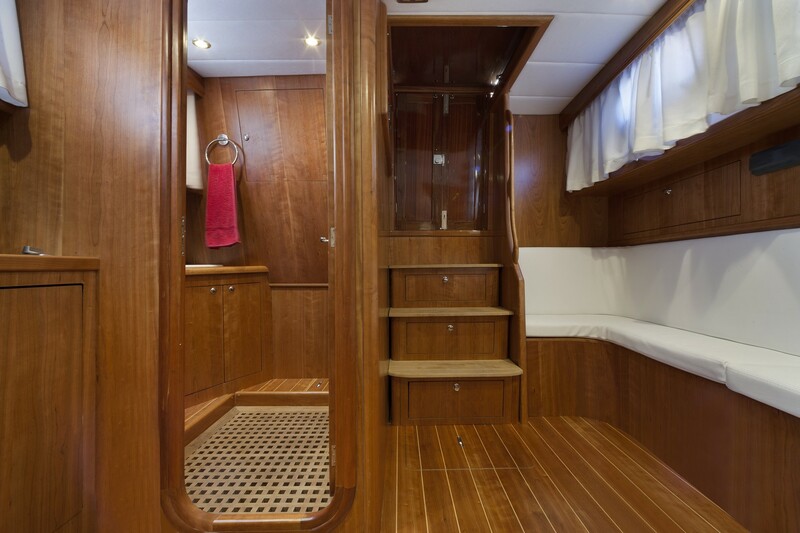 and anti vibrations supports, soundproofing, inspection light, 12/220V taps, 16 lt. boiler.